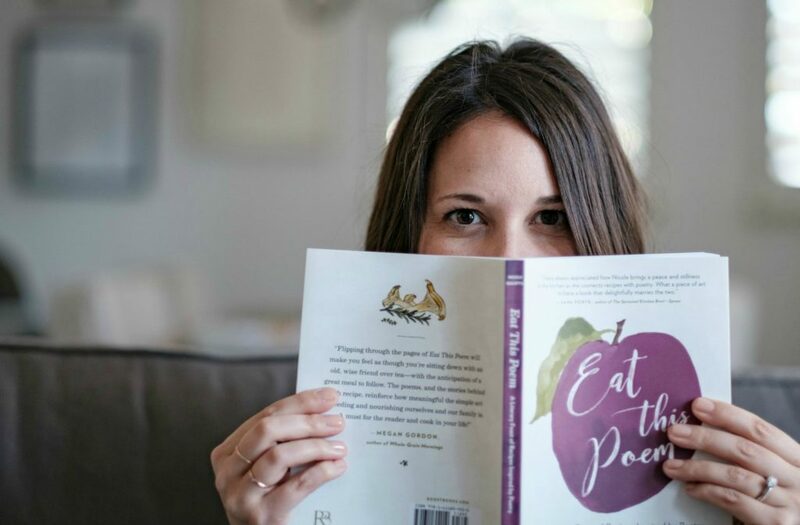 We had the chance to have a tea time chat with Nicole Gulotta, the author of the food-poetry combining recipe book, Eat This Poem. Nicole, a writer and food lover since her youth, finds ways to instill words and creativity with her recipes. In her cookbook, as she described on her website, she “brings poems to life on the plate by infusing each sectionwith personal stories, thoughtful commentary, and simple ingredients.” She is based in LA and loves tea (another reason why we love her, tea lovers unite) and yoga. Get to know more about Eat This Poem and the genius of its author in our discussion below. When did you first start writing poetry, and how did it lead to you fusing it with food? My relationship to poetry has been a long, winding road. I started writing it when I was very young, and I went on to study it in college, but I didn’t start exploring the combination of food and poetry until much later. I’d been writing a food blog for several years before I started feeling a pull to return to poetry. One day I revisited some old books and while standing in my hallway, I hatched the idea for Eat This Poem, a new blog I started just a few weeks later. How do you develop the recipes? Do you make them based on the poem or do you choose a poem based on the recipe? The recipes were always informed by the poems. I start by doing a close reading and seeing where the food references are, then I brainstorm recipes and stories in the margins. The recipe development process always involves a lot of thinking as well. I step away from the poem, re-read it, then tinker some more before I settle on the right ideas. What are the most important lessons or takeaways you learned from writing Eat This Poem? One of the biggest lessons I learned was in trusting my intuition. In the publishing world, there’s a lot you can’t control as an author, especially when it comes to timelines. I realized I could choose to focus my energy on what I could control—my writing practice and making progress. Everything else fell into place when the time was right. How do you think Eat This Poem will impact other people’s lives, particularly for food bloggers and mothers? My hope is for people to come away with a deeper appreciation for how poetry can be enjoyed in daily life, as well as some easy recipes that will become favorites. And I hope readers will return to the poems again and again when they need a little inspiration. Mothers tend to have less time for themselves, but I like to say that reading a poem is an act of self-care. Even if I have a busy day, there’s always time to read a poem! Why do you think creative storytelling is a good platform for sharing recipes with others? The best recipes are built around stories. Our experiences with the ingredients and the memories we share is what helps make the recipes memorable, and it allows the readers to get to know us through our food. What do you enjoy most about your work, and why? I love that writing helps me learn more about myself and the world around me. I also love connecting with other writers and creatives, and encouraging them on their journeys as well. If you had to choose one poem in Eat This Poem as your favorite, which would it be and why? I truly love them all, but I really enjoy “A Pot of Red Lentils” by Peter Pereira. It beautifully captures the tension we feel when embracing the present (in this case, a summertime garden), while knowing the season will soon become memory. Download your free excerpt of Eat This Poem or buy the creative masterpiece on Amazon or Barnes & Noble. This entry was posted in Story Time and tagged author, creative writing, dollar tea club, loose leaf tea, los angeles, nicole gulotta, tea, tea time.